A celebration, 5 years in the making. As the clock struck all zeros after Michigan State's failed attempt at a lateral-a-thon on the final play, 4 seasons of in-state misery melted away in a jubilant celebration for the Michigan football team. It was chaos on the field after the game. But as always, the team ended up in the northwest corner of the field, to celebrate with the student section. What a scene. 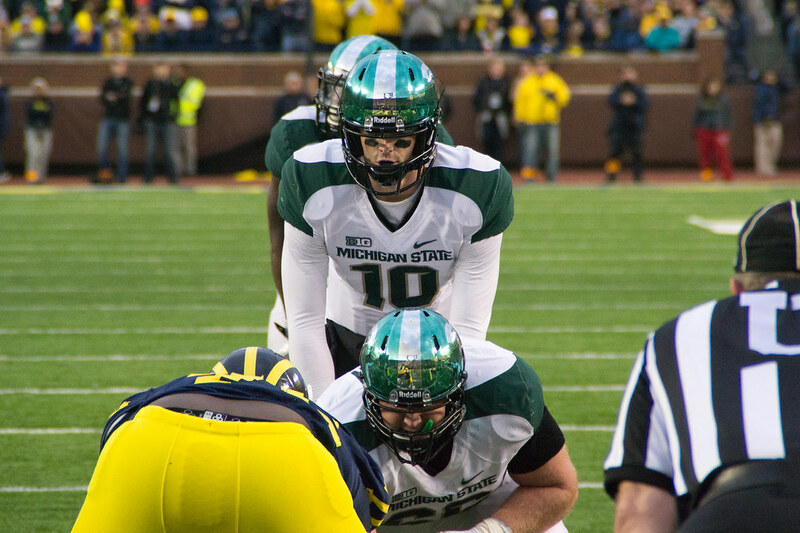 Here's my 5 takes on Saturday's Michigan State game...bullet style. • Brunettes. How clutch was Brendan Gibbons? His last kick will get all the press, but all 3 of his boots on Saturday were big. And of course, we can't forget Matt Wile's 48-yard boomer. But I think when it's all said and done for Gibbons, he's going to leave Michigan with a legacy of being one of Michigan's most clutch kickers when the game is one the line. And, this all from a kid who couldn't hit the anything in 2010. An amazing turnaround. • Michigan's offense. If you're concerned about Michigan's ineffective offense last Saturday, don't be. Michigan State played much better than anything we've seen from them all season. They were amped up for this game...Dantonio will always have his team ready for Michigan. The Wolverines won't see a more aggressive or physical defense the rest of the season. Most teams try and shut down Michigan's read-option, with varying levels of success – Michigan State shut it down completely. • The passing game. The passing game frustrated Michigan fans all day. What can I say? We're not a strong passing team. I think we all know that. The success of Michigan's offense is it's ground game. But if Denard can continue to not make many bad decisions, every game left on Michigan's schedule is very winnable. 5 for 15 on 3rd down hurt us, and that's a direct effect of a lack of a passing attack. But, all that said, Denard played well enough to win the game, and he gets to check Michigan State off his list as the Brady Hoke Redemption Tour continues to roll through the Big Ten. Next up on the tour, Iowa in 4 weeks. • Defense baby! Not to be overshadowed, Michigan's defense came to play. I read something on Twitter last night, not sure who said it, but it was basically to the effect of 'If Denard has a good defense behind him, he can be unstoppable'. I think we're seeing that happening...although we're not there yet, and we may never get there, but we're seeing it. Michigan's defense stood tall on many occasions on Saturday. Aside from the first MSU drive of the second half, when Sparty started doing things they never do, like speed rushes to the outside and attacking our corners, Michigan State was just as inept as Michigan was with the football. 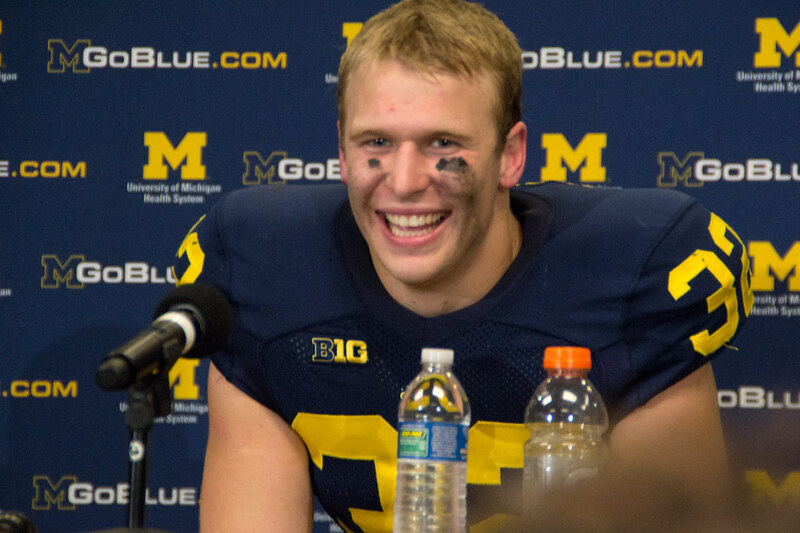 It was awesome to see Michigan's defense show up in a huge game. But, I'd be remiss if I didn't give Dantonio huge props for the fake punt call. That was brilliant. That was pure Dantonio at it's best and it worked. If MSU had scored a touchdown, that play would've had a name like "Little Brother" or something. I was on my way down to the field when that play was run, so I caught it on the monitor in the pressbox while waiting for the elevator with Greg Dooley from MVictors and Hondo Carpenter from Spartan Nation. That was a long elevator ride. • Rivalry? 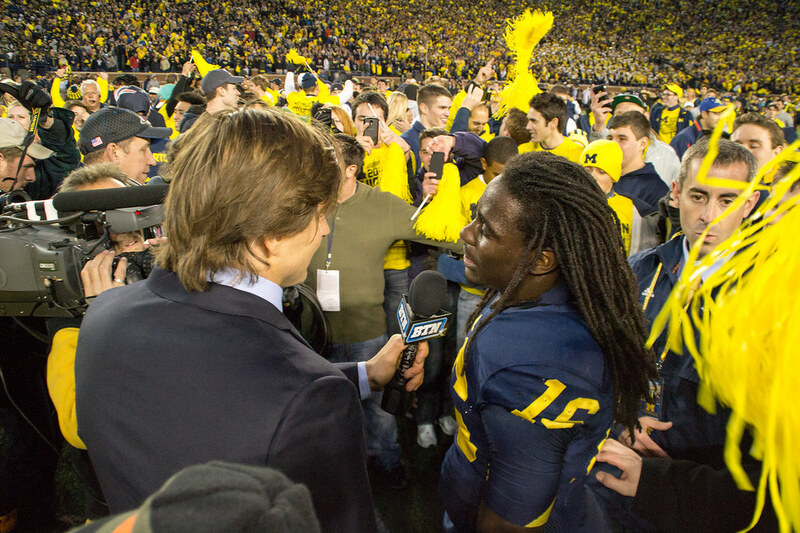 After the game, Jordan Kovacs and Denard met with the media right away in the post-game press room. After coming up from the field were players and fans were celebrating together, it seemed there was a bit of a subdued tone to both Michigan captains. They were happy to get the win, I'm sure, but it sure didn't feel like I expected it to. There was a very workmanlike tone to their answers and their demeanor. They're keeping their eyes on the ultimate prize – a Big Ten championship. 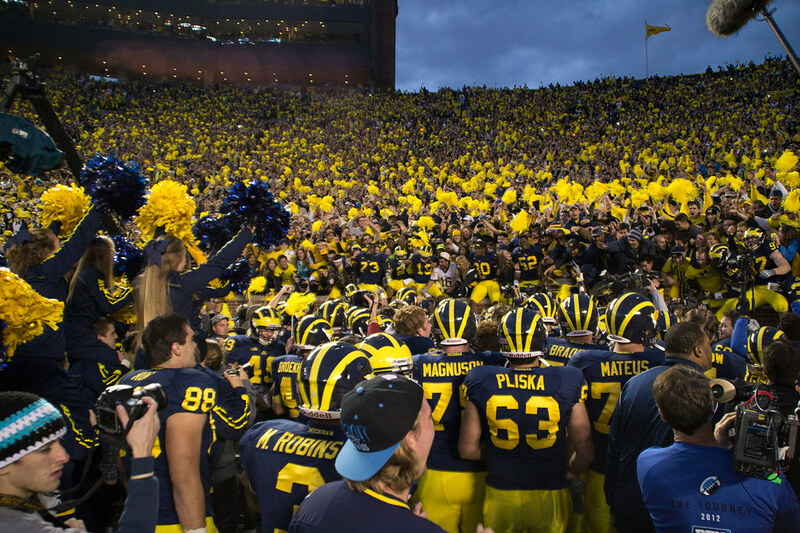 Beating Michigan State was just another step along the way for Team 133, it felt. Maybe it was just my expectations being wrong, but it took a while for Denard or Jordan to even break a smile...odd for two guys who've never beaten Michigan State in their careers. Maybe, just maybe, Michigan State isn't as big of a deal to this team as fans and media have made it out to be. I don't know. But it sure felt like it. Michigan State's helmets. I didn't mind them so much before/during the game, frankly because it's hard to really notice them from where I sit, but now that I've seen photos and video, and I don't like them at all. The green isn't their green. They look like Christmas ornaments. Can we be done with this uniform funny business now? Please and thank you.